Costa Rica means "Rich Coast" in Spanish. This outstanding country borders Nicaragua to the North, Panama to the South, a 200 kilometer long Caribbean Coast at the East and a 1,000 kilometer long Pacific Coast at the West. It is one hour behind Eastern Standard Time and due to its proximity to the Equator the times of sunrise (6am) and sunset (6pm) vary little. This small territory has 12 life-supporting zones which are determined by temperature, average and seasonal rainfall, altitude and quality of the soil. 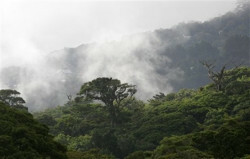 From these different life zones we can divide its vegetation into 3 types: rain forest, cloud forest and dry forest.Each one of this can be found in 3 major topographic areas: the Cordilleras, the Caribbean lowland plains, and the Pacific Region. You will be able to experience Costa Rica’s wonders from high elevation mountains with their Cloud Forest, to the Jungle Rainforest of the Caribbean or the Dry Forest of the Pacific Coast. Each topographic area has its specific characteristic that has been developed to be enjoyed and discovered through various activities. Costa Rica is known for being on “Primavera Eterna” or Eternal Spring because it has an average temperature of 15C (59F) at night and around 26C (79F) during the day. *On volcanoes and in higher altitudes, it can be a bit chillier during the day and night. 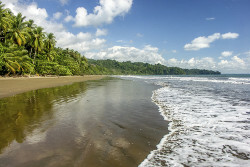 Costa Rica will give you a gratifying experience beyond the tour bus window!! Stunning scenery, exciting adventures, fine cuisine, comfortable accommodations, quality service, and the most outstanding custom-designed programs will bring you closer to the nature around you. 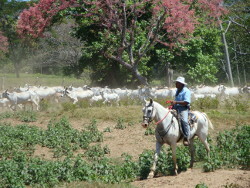 In fact, every day in Costa Rica is idyllic!